I am fascinated with classic architecture and tales of society families of the last century. 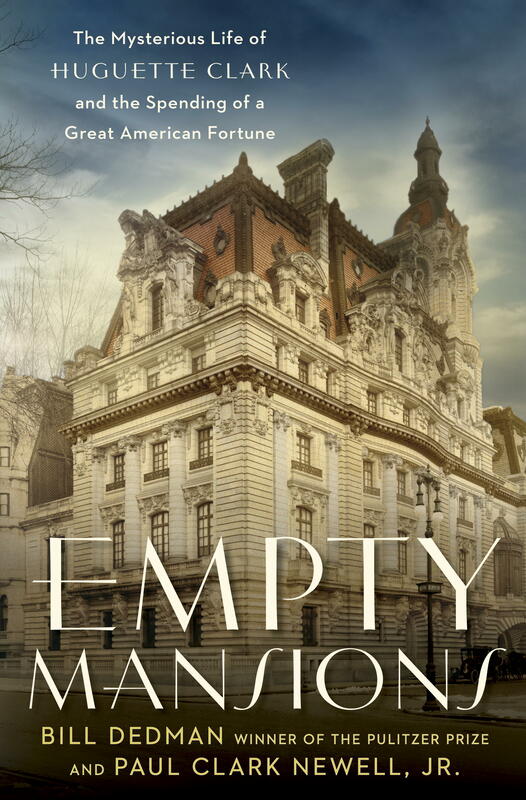 So when went to my local library and saw the book Empty Mansions: The Mysterious Life of Hugette Clark and the Spending of a Great American Fortune I immediately checked it out. What a story! Hugette Clark was born in 1906, the daughter of wealthy copper magnate William A. Clark. She lived a very long, increasingly reclusive life. By the time of her death at the age of 105 she had lived through the sinking of the Titanic, World War I and II, the Cold War and September 11. Due to her reclusiveness she is more known for the objects she left behind than her personal story. Perhaps you’ve heard of her home in Connecticut purchased in the 1950’s but untouched for over 60 years? Or Bellosguardo the family estate on the coast in Santa Barbara – a time capsule of the 1930’s as no family had visited it for decades? Or maybe the long dispute over her estate fought between distant family members and heirs? It’s an extremely fascinating tale that kept me glued to the pages. But as much as I loved learning about Hugette I was struck by the connections of the Clark family to Los Angeles. 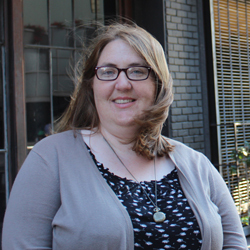 Hugette lived most of her life in New York and mostly kept to Santa Barbara when in California but her father and siblings had strong ties to the LA area. So much so that their contributions to the region exist to this day. As soon as I learned this, I knew I had to see those connections for myself and one day I conducted my own personal Clark Family treasure hunt. William A. Clark, Hugette’s father, made his fortune in the copper mines of Butte, Montana. With that fortune he made several significant contributions to the modernization of America including bringing the railroad to Los Angeles. Along with the railroad came much of the Clark family including his mother, Mary Andrews Clark. Upon her death, he founded the Mary Andrews Clark Memorial Home in her honor. As you can see, the home still exists. 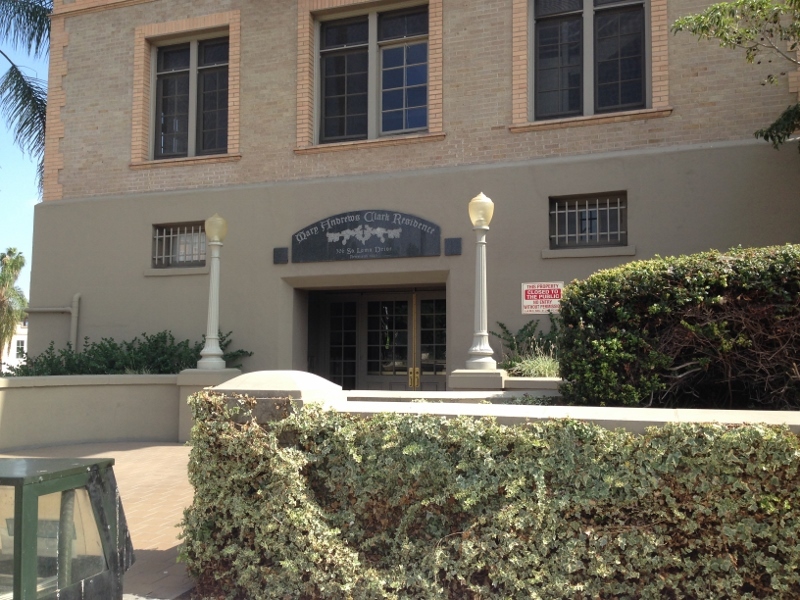 Located on the corner of Loma Drive and 3rd Street it’s a significant structure in a downtrodden area. It was established in 1913 as a home for young working women and continued in this fashion until 1987 when it was closed due to earthquake damage. Thankfully, it was refurbished and reopened in 1995 as a home for low income workers which it remains to this day. As such, I couldn’t get inside and had to be satisfied with views of the exterior. Not really a problem as it’s a truly beautiful building. 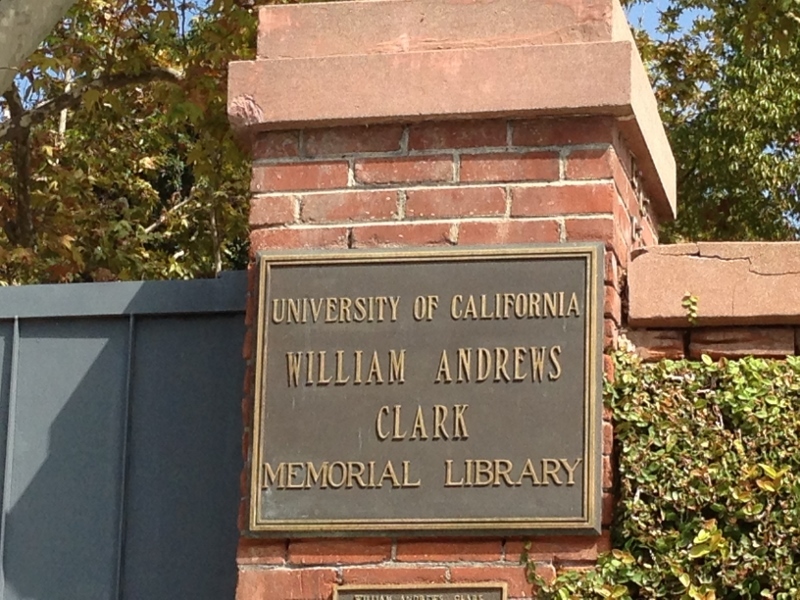 William A. Clark had several children including his namesake, Williams Andrews Clark, Jr., a long time Los Angeles resident. He was a lifelong devotee to the arts and founded the Los Angeles Philharmonic. 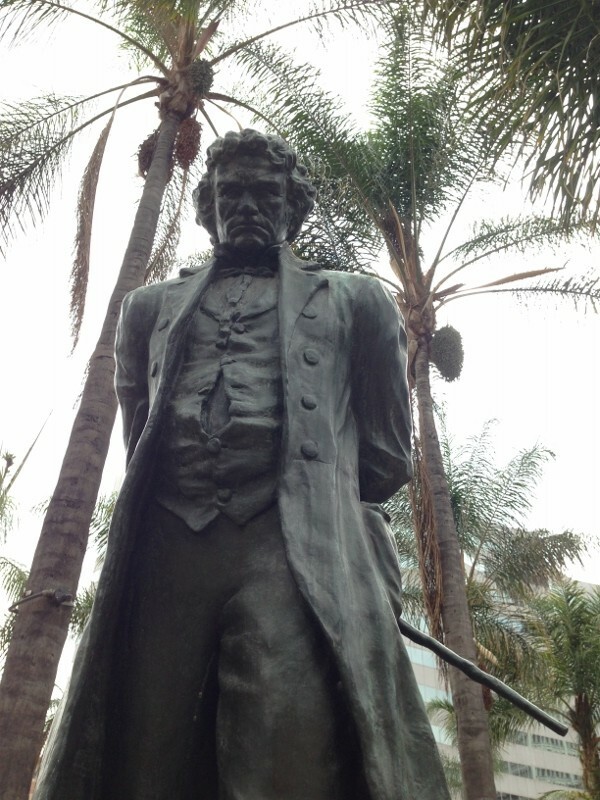 As a thank you, a statue was erected in his honor in Pershing Square. But don’t expect to find him there. A humble man, he requested the statue to be of Beethoven instead. Now don’t get me started on Pershing Square. I could go on and on about how much I dislike this park. Especially after seeing historic pictures of it. 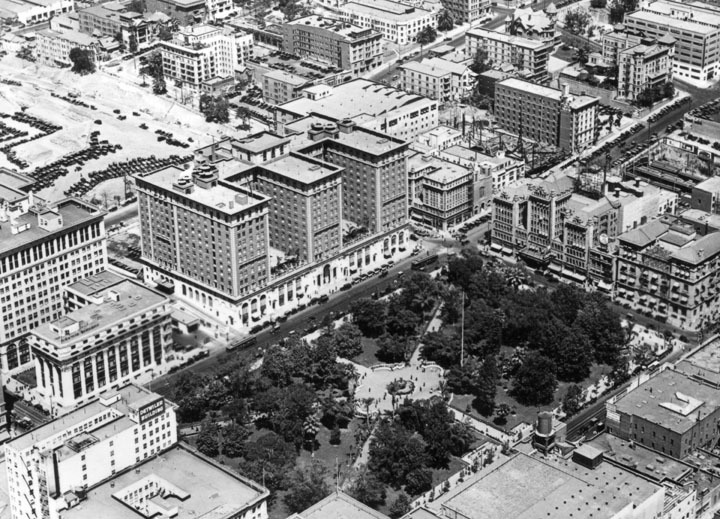 Did you know it was once a beautiful green space filled with trees and walking paths? What happened? But we’re not here to talk about the destruction of this beautiful space. We’re here to talk about the Beethoven statue. Which, as you can see, still exists. It’s tucked away in a corner of the park with other forgotten monuments. But, it’s still there which is what really matters. So if you find yourself in the area, give Ludwig a visit, won’t you? In addition to music, William A. Clark was also a collector of rare books and manuscripts with a special devotion to the works of Oscar Wilde. In 1924 he built a library to house this collection. 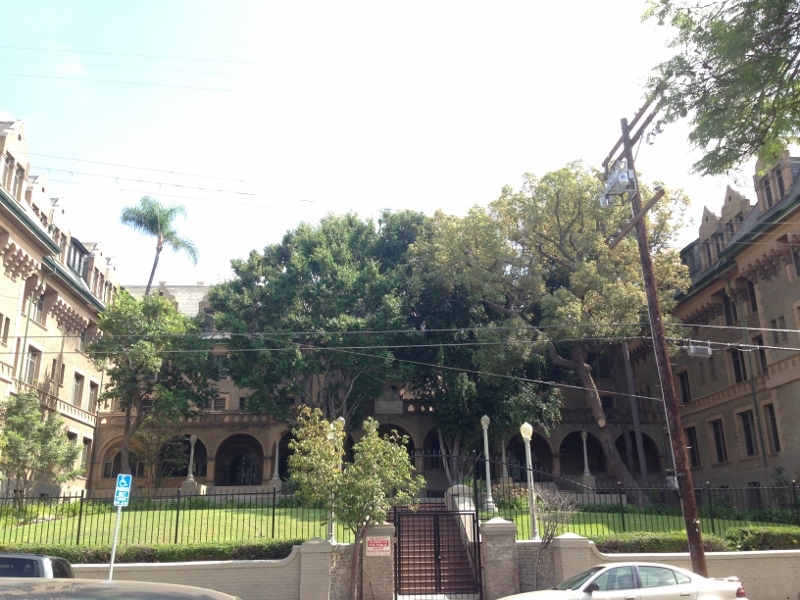 Upon his death, the library and collection was donated to UCLA and is still a part of the college to this day. The William Andrews Clark Memorial Library has long been on my list of things to see. Unfortunately, it’s only open during the week. I was hoping to catch a glimpse of the building on my Saturday visit but found it obscured by a large wall. This plaque will have to suffice as proof of my visit. I plan to make a special weekday trip in the future and you can be sure I will tell you all about it. 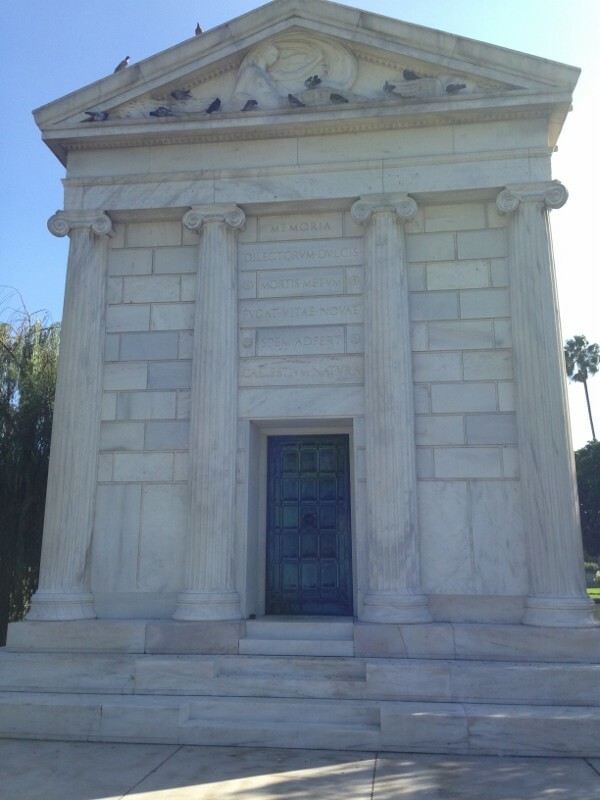 Williams Andrews Clark, Jr. died in 1934 and was buried in the family vault in Hollywood Memorial Park (now Hollywood Forever Cemetery). 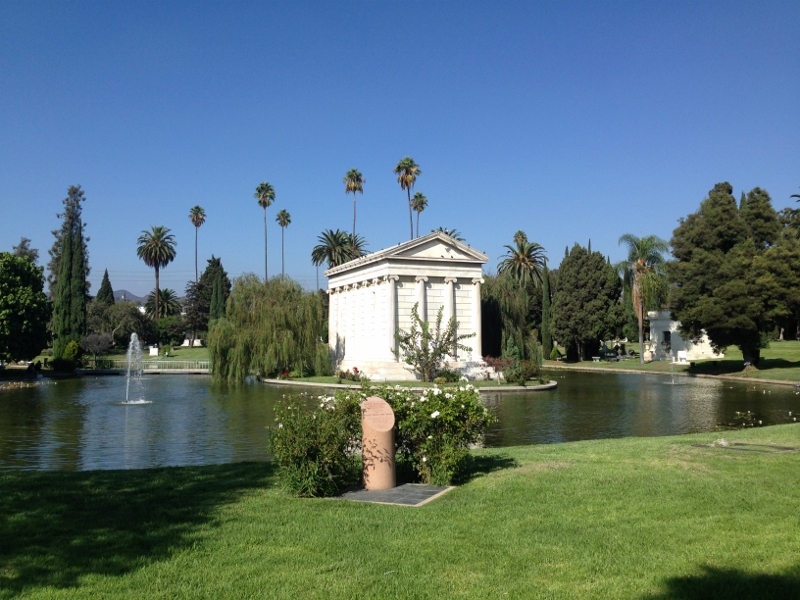 He had the mausoleum built and it’s the most impressive structure in the cemetery. And the lake? That was a part of his design, too. There’s a bridge that leads you directly to the structure. 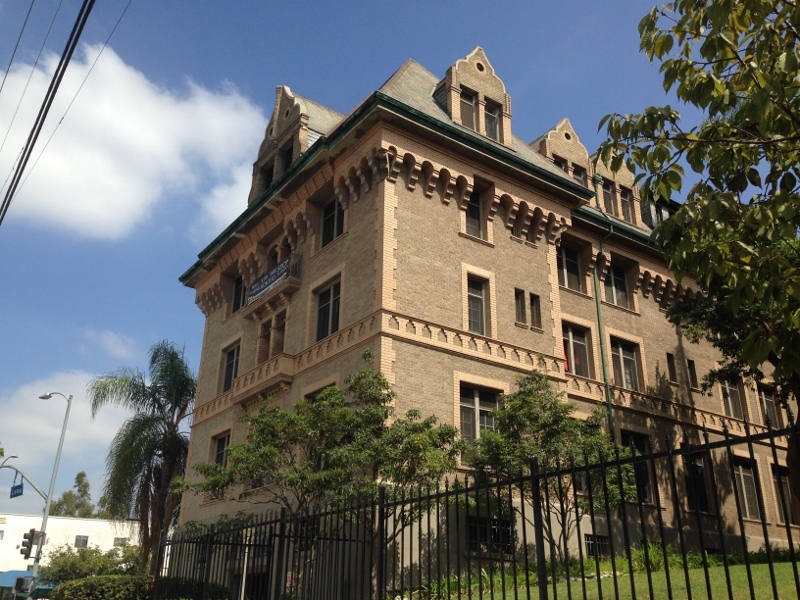 When I picked up Empty Mansion at the library, little did I know it would lead me on an adventure into Los Angeles’ past. It just goes to show what worlds open up when you decide to read.